I am going to make her a banner similar to this one above to hang up at her party behind the cake table. I just LOVE these little cupcake toppers and hope to make some of them as well! 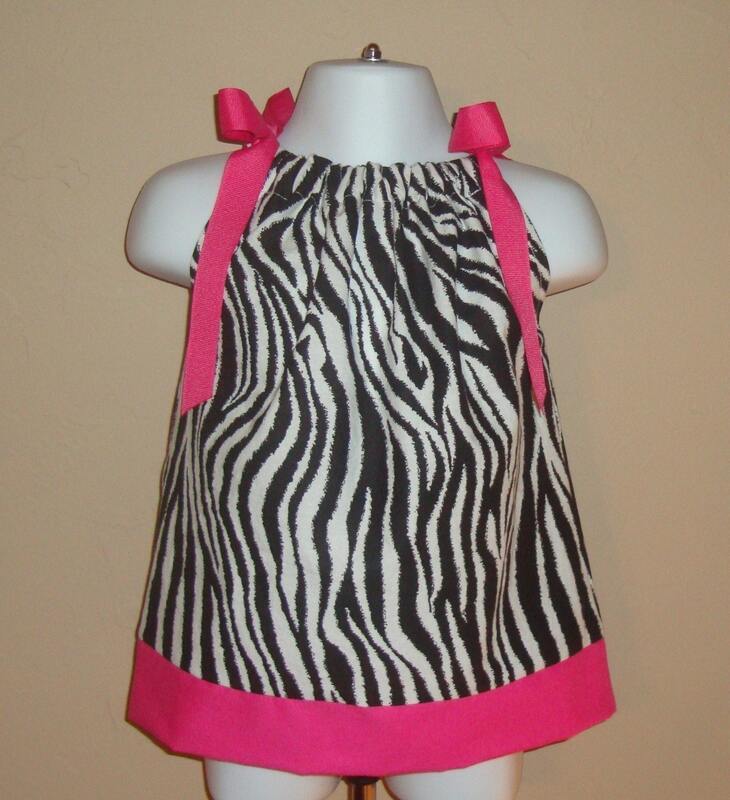 I want to have a pillowcase dress made for Kaidi to wear at her party. I wish I had time to make it, but with all these decorations to make, there's noway!! I have recruited some help on a few of the things for her party! How funny! 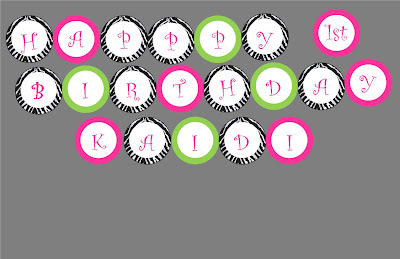 My daughter Kaidence turned 1 in September & we did the zebra print & bright colors. She even wore a pillow case dress-haha! 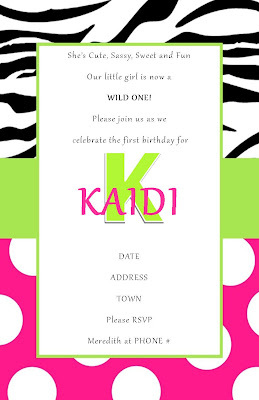 Hope Kaidi's party turns out super cute! My little one just turned 2 and we did the cupcke picks ourselves and did the banner and it was so much fun making those. We did the Elmo theme and she had a lot of fun. I think I have pics of the decorations on her site at http://www.jaycimarie.com/ if you want to check them out. Oh and I LOVE the colors and theme you are going with!! Kaidi is a very lucky and blessed little girl to have such a creative and talented mommy! Way cute! Ashley- that is funny! Great Minds think alike!! Mandy- You did a great job on Jayci's cupcakes! I hope mine turn out! I have to plan a day to do nothing but make her party paper stuff! Hate to feel like a blog stalker here who reads your blog but never posts anything...but I have to ask where you did the invitations at! They are so cute! It is time for me to start on my daughter's birthday invitations for her 4th birthday and we are doing a Pinkalicious party and I wanted to do some super cute inviations. Just wondering if you did them online somewhere! Kaidi's party will be so cute!! Ella's is going to be a cupcake theme!! I'm doing all her decor and designed her invite, cupcake toppers, and some other stuff! It is so much fun!! I can't wait to see pictures!! :) They are growing up way too fast! !